iMeet® Central Support will occasionally need to access your workspace(s) for troubleshooting purposes. 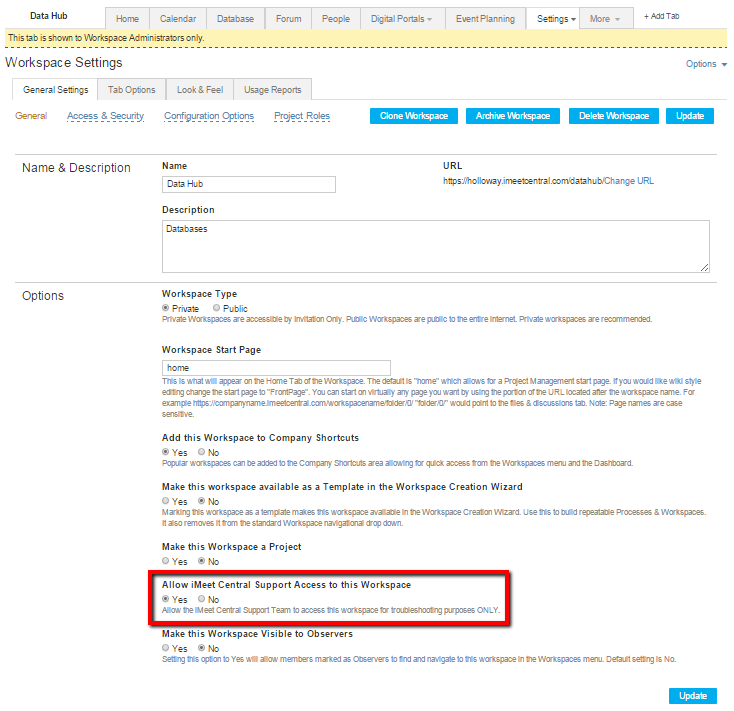 Before contacting our Support team, its best practice to enable CD Support access via the workspace General Settings page. To allow access via workspace General Settings, navigate to the workspace, select Settings > General Settings, choose "Yes" under the option to Allow iMeet® Central Support Access to this workspace and click Update. If this option is enabled, iMeet Central will only access a workspace for troubleshooting purposes. Access can be removed at any time following the same steps.